Hi! You can watch my video on this topic or read the transcript below it. moderately severe pain. It works in the brain to change both the perception of pain and the response to pain. When I started taking this medication it was explained to me that it needed to be taken at a regular time once a day and that I would probably have nausea at first for about a week and to make sure to take it with food. I did as prescribed and sure enough I had nausea for one week and then it subsided. I used Tramadol regularly for a long time and it did relieve the pain and helped me to lose a little weight but it also helped me to lose interest in life. The main reason I lost weight was that I had no interest in food or in cooking or in looking after myself. I became like a drug addict but did not realise it. One day after about a year my daughter said she felt like she had lost her mother - she cried and said I was behind a cloud and she could not get to me. This made me realise that I was just sitting on the lounge all day doing nothing and I decided to stop taking Tramadol. At this point I made a very foolish mistake and decided to go cold turkey. OMG I experienced 7 days of extremely bad withdrawal symptoms the worst of which was the muscle pains and irritability. There was also watering eyes and a runny nose like a bad flu, nausea and sweating and shaking all over. These are all known symptoms if you suddenly stop using this medication but obviously, because of the drug itself, I was not thinking right when I made the decision to just stop taking it without consulting my doctor. He would have told me to come off it slowly in increments. In retrospect I could see that the Tramadol was causing major drowsiness in me. When it was completely out of my system I realised that many of the symptoms I had started taking it for had gone - that is the nature of Fibromyalgia, I think, it changes all the time. You might also be interested in reading my experiences with Cyclobenzaprine for Fibromyalgia and all the natural treatments I have tried. 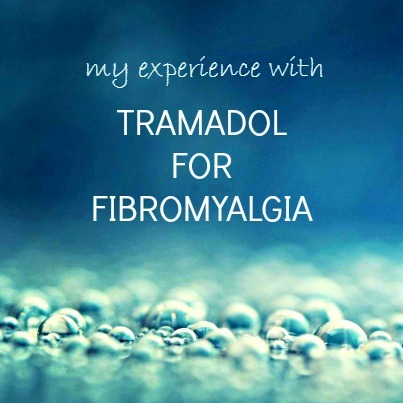 There are many interesting comments below that show people's differing experiences with tramadol for fibro. Thank you for sharing your story. Good to know to stay away from Tramadol. Hi I have been using tramadol for nerve damage for a few years now, I where taking up to 8 a day not realizing how adidictive they become, not so much as to me but to my bodies. Years on n I'm still on them but by myself I have got it down to 4 a day, it probably doesn't sound a lot to you all but I have to do it gradually, saying that some days I only take them in the morning just so I don't get the side affects. I don't eat much, I never leave the house on my own, but I'm try to sort that out by myself, I still have pain but I will not be going back on 8 a day. Maybe some peoples bodies don't get adidtive to them. Would love to hear. Without my Tramadol, I have extreme pain. As soon as it wears off, I feel the pain rising from the bottom of my feet to my neck. Without it, I wouldn't be able to function. Natural, I can work that in while on my medication but I have not ran into anything yet that deals with this kind of pain. At this moment I am I n pain. I have taken my tramadol and ropinerirolel. ( for restless leg syndrome.) In addition to everything ,I feel like am about a second away from certifyably wacko. When this happens anxiety builds in me until I am able to fall asleep, or otherwise release the pain. I take tramadol and an anti flamatory medication for my fybro. I have tried oxy and vicadin, both do not work for me which is scary. Tramadol does work! I swear by it. I have my life back. I can leave the house, run errands, exercise, it’s amazing. I take 2 a day and 1 more of I do too much. Living with fybro has been terrible since it’s so misunderstood. I’m scared that tramadol will be scorned upon, just like the other opioids. This is the only medicine that works for my pain. I take Ralivia, which is an extended release version of Tramadol. I take one 300mg pill every day. I only take it when I can't handle the pain and after about 2 days, I can stop and it has stopped the pain, until the next time. OH< this is a great suggestion, I did not realise Tramadol could be used like this - I was following my drs prescription. Did your dr tell you this way to use it? My doctor prescribed it as needed. I have had no problems. I too only take it for flare ups and it is a life saver! I, too, use it as needed for flareups. Have taken it this way for years and have had no problems. I also take it only as needed (50 mg). Usually it's once or twice a day for anywhere from 1-3 days when I just can't take the pain. Or if I know I'm going to be walking alot or doing housework like mopping or vacuuming I take one. I don't take them past 3pm though, otherwise I am unable to sleep at night. Tramadol has helped me get through some difficult days. I only take it when I can’t go anymore. But I also have a pain pump with morphine in my back. I hate, hate taking any kind of pain medication. I also take neurontin everyday. Hi Donna, sorry to hear about all your pain. I am not a big fan of pain medication either but it does help many people and it serves it purpose. Best wishes to you. Donna, I'm getting ready to do a trial for a pain pump. And I'm on 1200 mg/day of neurontin. Tramadol doesn't work for me because I've been on high doses of narcotics (oxycodone, dilaudid, and fentanyl) for years for severe back pain and I now have such a high tolerance to them. I don't know what to do for the fibro, though, other than the neurontin. All of the usual treatments have been tried with no luck. And my pain doctor won't let me try CBD. Does anyone have any ideas on how I can treat severe fibro? I'm so tired and in so much pain all the time, that I can barely function, let alone work. Your pain doc is an idiot. cbd works. I have fibro, and Im getting off Cymbalta and Lyrica now. I still take 100 mg of Tramadol a day but cbd has really been helping. You don't need a script for it! just get it online like most of us do. Lazarus or Bluebird are two reputable companies. Find a new pain dr that will let you try CBD. No pain specialist worth their degree is against anything that gets patients off narcotics. I tried it and it didn't take the pain away for me. We are all so different with this syndrome. Yes, so agree... everyone is different and what works for one may not work for the other. I take as needed. I have not had any negative problems. It is a life saver and has kept me able to work. I found out I was allergic to it. Muscle cramps like I never ever had before. I tried it and it didn't help as prescribed how ever I was tempted to over take it for some relief I got relief over taking but I realized this wasn't good.I don't take it anymore.I have to limit my activities more now,but l have accepted that. Thanks so much Debi and it's good to have your perspective here. 10 to 4 pain level is excellent. Yeah, I'm not sure about the 1 pill per day thing either! I have also gone from two 3 times a day to two 2 times a day. At this point, I am thinking of trying to take one 3 times a day. I do know that if I forget a dose, I get very nauseous and sweaty. Of course, that could be because I also missed a Lyrica, too. I'd love to get off both mess if I can do it. Fibro stinks! I used to be on tramadol but it was prescribed to me as 1 pill a day at bedtime for sleep. Interesting how many different purposes this medication is being prescribed for. I never really noticed that it helped with my sleep quality and stopped taking it. I now I get a better quality sleep when I diffuse calming essential oils at bedtime. Hi hope your well I have taken tramadol for six to seven years as well as a few anti depressants , which did not help but am still on tramadol the fibro does ebb and flow but I try and use it to minimum 2-4 a day 6 on others when bad . I am writing this because some people are giving tramadol a bad name but I find it is the only thing that helps me . I wish you well , take care . So great to here that Tramadol helps you. Thanks so much for posting here so that others can know this too. I have had fibromyalgia for some 40 years now, I am a 68 year old female. One rheumatologist told me that it would be gone when I was 50. Yeah, right. I have not taken Tramadol, however when first diagnosed, I was given Flexeril, which is a muscle relaxer. It was awful, I could not concentrate at work, brain fog was terrible. Stopped taking that real quick. After that, I just stayed on OTC N-saids, aspirin, Advil and Aleve on a rotating basis, all that stuff tore up my stomach really bad. Then, I was taking all kinds of heartburn preventatives. I was on a real merry-go-round! Over the past few years, I started developing pains in my chest, starting when I was walking and getting to the point when I got dressed, I had to sit down and rest because the pain was so bad. My doctor put me on Gabapentin, for what he determined as "really bad fibromyalgia". I took it for 10 days and quit, The side effects were terrible, headaches, back and leg pain, horrible brain fog. I would not recommend this drug, originally produced as a secondary epilepsy drug, for anyone with fibro. Looking in the mirror, I could see I was becoming anemic. Blood tests indicated a critically low red blood count and I was sent to the hospital for a 2 pint blood transfusion. All this is said to explain that since the blood transfusion, I have been working on keeping my red blood cell count up. The anemia was not only worsening the fibromyalgia and costochondritis I had, but also stomach issues and I was starving my heart and lungs of the rich blood they needed. Bottom line, I feel great! I no longer take any antacids except for a Pepcid in the a.m. and p.m. I no longer take a pain medicine, but if I felt I needed it, I would take Arnica Montana, which is a homeopathic medication. I am taking a supplement called FibroMalic, which is magnesium, malic acid and some other natural herbs. I feel great! If you can, try to get away from prescription meds and into more natural, homeopathic supplements to see if they will help you. That's it, I am finally done. It would be gone when you turned 50! WISH! That is humorous. I'm similar to you I now have all the stomach issues - gastritis- from medications over the years and many of these meds give me bad brain fog. So pleased to here you are feeling great. Did you start to feel better after the blood transfusion?? I actually see a homeopath and have written about it here http://www.fibrofiles.net/2009/12/homoeopathy-effective-in-fibromyalgia.html I do get some success with reducing my symptoms from the homeopathic drops. I take magnesium everyday but will investigate the brand you suggest. Thank you so much. I was on Tramadol for many years; it only took the edge off the pain, but I was desperate for any relief. Upon reading my lab results on routine bloodwork one day, my rheumatologist called to tell me to go off Tramadol immediately. I now have chronic stage 3 kidney disease, and most likely was caused by taking this drug for so long, however, can't be conclusively proven. Wow,my experience with tramadol is the complete opposite, it's given me my life back, it actually gives me energy so I can finish everyday tasks like shopping where as before I would have to go home half way through shopping and go back at night, now I can power through. I have put on too much weight taking it as it seems to make me hungry and I find that I get nauseous if my stomach is empty, I have to be careful to not take my second dose too late in the afternoon or i won't sleep, I know many people who don't tolerate tramadol but for me it's the only thing that works, i also take baclofen which stops my back spasms which were making it impossible to sleep, stand, sit, basically I couldn't get comfortable so the combination of the two medications has made a huge impact. There are times when I also take codeine at night when the tramadol has worn off. Anyone trying these medications needs to be very careful to start slowly, always take with food even if it's not stated on the package or recommended because alot of us fibro people have irritable bowel syndrome, I've tried so many things that I just don't tolerate including anti-inflammatory drugs but they give me nausea, vomiting and diarrhea, I have minimum or no side effects with tramadol and baclofen. Me too. I have gone from waking at a 7-8 pain scale taking 3 Aleve plus 4-6 Tylenol 1 daily to get maybe a 5-6 in relief. I have been on an approved SNRI for separate anxiety issues (because I couldn't possible of had fibro as long as I have at such a young age - according to Drs). Anyway, I've tried other meds and refused others based on evidence based experiments. I finally got a prescription for tramadol last month after telling Dr I would board the meds after surgeries/ER visits for pinched nerves, just for flare up relief. I am able to function, finally have more balanced moods, I can sleep without melatonin yet not so tired during the day like before. I do have to take 1 tab 3x's daily to ensure balanced relief. Looking forward to some weight-loss now that I can move. I have taken tramadol for about 8 yrs now. 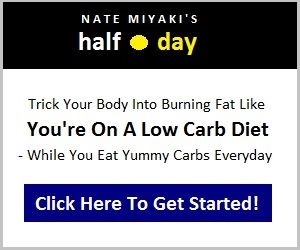 It works great for me. However I have been on several different muscle relaxers for back spasms and the one that worked, Soma, my dr office no longer prescribes. I'm going to ask about baclofen. Thanks for the info. I take can take it 3 times a day. But I don't feel I have to. And it has been the only drug I haven't had a bad reaction to. I take it only as needed. And I feel like getting up and living my life just fine. So clearly not everyone feels the same. But because of the people who get addicted my pain Dr will only give me 3 months worth. And after that I go back to pain everyday and not wanting to live with the pain. All other fibromyalga meds have made me worse. hi Dawn, thanks so much for your comment. Good to hear you find Tramadol helpful and hope you can get a better supply. Each person reacts differently to each medication. Tramadol was a wreck for me, yet elavil works wonders. Yes, you are right, everyone is so different that is becoming so obvious from all the passionate comments here. I've taken it for a couple of years now 100 mg at bedtime for my fibromyalgia and neuropathy and I haven't experienced any side effects and I can't sleep without it. You have to figure out what works for you. Wish it worked for mr like that. sounds so helpful. Thank you for writing this and for all the comments. 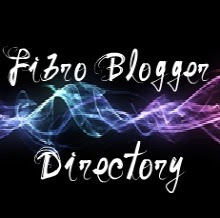 I was diagnosed with fibro 22 years ago but I have never spoken to another person who has it. The nearest support group is a long drive and I rarely discuss it outside of my family. Just finding these comments and getting little clues into how others manage. Or that some like me, have awful reactions to meds that work so well for others,makes me feel less alone. I find this disease so isolating. Thanks again to all. Now I plan to check out this tea Kratom and arnica Montana.! Having fibro can be very isolating just because the pain keeps us from being able to enjoy the socializing we used to do. Never mind all the other reasons. I just wanted to tell you that there are some very good online support groups that you can reach out to. Upworthy has some support groups for all kinds of hidden disabilities like ours. You don't have to be alone with your fibro. There are a lot of us out here and probably someone of us have shared your experiences. Jules, sorry to hear you are so isolated. As wildyard says there are some good online support groups and also PLEASE visit my facebook and twitter accounts (if you are on these) as we have a helpful group there and lots of useful and supportive stories and information. I think the key to this article is in its title, "My Experience". Everyones response is unique. YES! Thanks for picking that up. After seeing doctor after doctor and being a big test monkey. My doctor put me on topomax. Yet it has lots of side effects. But I am now able to get my life somewhat back and get out of bed when it rains! This drug made a huge difference! I have rhuematoid arthritis, gout and fybro! I agree with Anonymous 4:56 PM. Tramadol is the first pain med that has truly kept my pain at bay. Nobody here has mentioned dosage. I take one 100 mg slow release at bedtime and another when I awaken. If I need more, I also have ordinary 50 mg pills on hand to supplement, which isn't very often. I don't pay attention to time. I've never felt nauseous. My weight has not changed. It does not affect my sleep nor wakefulness. I've been on this regiment for over a year and am thrilled. I would far rather be on Tramadol than other narcotic pain relievers -- which have been the only pain relievers that have worked for me -- except marijuana, but that zones me out during daytime hours. Of note, I had tried Tramadol about eight years ago, 50 mil pills, and it did nothing for me then. I'm very grateful I gave it another try. My life still isn't normal, but I rarely deal with pain anymore, and pain trumps everything. To Anonymous 10:49 AM, have you been checked for ulcers? Aleve and Advil gave me ulcers, which felt like a band was being tightened around my chest -- an intense pain I wouldn't have guessed went along with ulcers. Along with the anemia, it sounds suspicious. Get that checked! It has done wonders for me. I take as prescribed and have had my life back since I started it. All drugs should be monitored by your physician. I was diagnosed 5 years ago with fibromyalgia and felt as though the pain would never end. I lost any semblance of a life and my poor husband and son both had to adjust to moms new norm. I hated it. I've been on several different medications but when my doc said let's try tramadol I said why not. I'm so glad I did. I take 50 mg 3 x a day and my family has me back. Now granted I still have flares and weather changes hurt but my dr just gives me a 4 th tab and it helps tremendously. There has been no weight changes or side effects. This is nota miracle by any means but it has helped me. I take neurontin as well but when we added the tramadol it was the right combo for me to have some type of life again. It works wonders for me too. I take it before bedtime so the worse sedating has worked out by then. I still have flare ups at winter time...but at least my summers are bearable now. Hi Lynette, it's good to hear that Tramadol works well for you. It serves to make this post more balanced if people share all kinds of experiences... thanks. I tried it annd it did very little for my pain at all not worth it at all. Barely took the edge off for me. Tramadol was never my best solution. I take baclofen at night and if the pain is being really bad, I also take a cbd gummy. During the day I use a cbd oil on areas where my nerve pain is the worst. Omg I did baclofen also. I swear my doctor has stock in it. She just keeps pushing more and more. When I got to 6 pills a day I said look I’m on enough medicine for neuropathy already so I told her I stopped taking it. I did cold turkey and the first few nights I had so horrible pain but once it was out i was happy. I was on methadone for 10 years-and became a zombie. I weaned off as prescribed but still had horrible withdrawal-had to go to detox (thank god for that). So they were leery of giving me Tramadol, but I do take it occasionally for severe costo pain, and now shingles. Just takes the edge off, so I don't really use it a lot. Interesting to hear this Karen. Sorry to hear you get severe pain and now the shingles which I believe can be SO painful. Best wishes. Everyone's experience to a medication is so different. Tramadol is no different. I'll be honest, of not for Tramadol and Lyrics, I would not be here. And that is no lie. It has given me a 50-60% reduction in my pain. 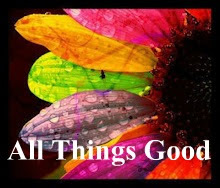 I still have bad days as I have other issues on top of fibro. Also, as a nurse, I hate seeing ANY drug demonized because of one person's experience. Personally, they work for me and I'm pretty happy even with my side effects. you are so right - everyone's experience is so different as the comments here prove. That's why i put "My experience" in the image at the top of the post. That scares me to death taking opiates. I’ve OD on them 3 times. Take a look at medical marijuana in your area cause it helps me with pain. My pain kicks up more at night so I’ve tried it. It kills the pain and lets you sleep. I had not idea you suffered with the withdrawal of Tramadol like me. I was on slow release for about 10 years and had surgery on my elbow last year and was given no pain relief as I was already on the full whack of Tramadol they could give me. I did cold turkey like you and have never shacked so much in all my life. Now my head feels clearer and I can pace myself better and just keep 50mg for my bad days but try to not take more than 100mg and would NEVER go back on slow release again after taking 400mg for so long. Take care. I have had Fibromyalgia for 20+ years. I have taken tramadol off and on during this time. It has been the best medication for my fibro. I have never had any side effects and have stopped cold turkey after taking it for years and never had a withdrawal symptom. 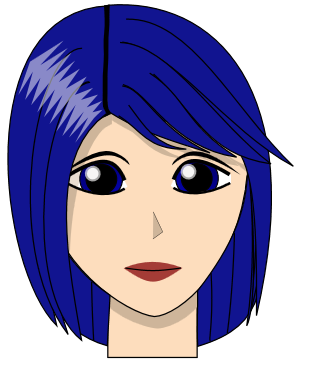 I have only gone off it when stronger medication was needed as I suffer from extreme neck and back pain. For me it has been what gets me through each day.I now take 2 pills 2 times a day. It was 3 two times a day but realized I really didn't need that much.I have never experienced addiction with tramadol. Hope this helps. Works better for me than Lyrica, Cymbalta, Gabapentin, NSAIDS, or muscle relaxers. It is my understanding that Tramadol is a synthetic opiate, scheduled class 5, which is the same schedule as Lyrica. Veterinarians prescribe it to dogs for pain as well. I take medical marijuana edibles or Kratom for the most part. My doctor knows I use MMJ and Kratom, and I only use Tramadol for breakthrough pain, when needed. Tramadol by itself is not effective for me and Kratom for the most part is overall more effective without addiction issues (it is NOT an opiate, contrary to mainstream media propaganda) BTW, I have fibro and Lupus. Tramadol has changed my life. Before tramadol I was on the verge of being in a wheelchair. I take 4 50mg per day. It doesn't take all the pain away but it does breakthrough the severe pain, so I can somewhat function. I am greatful for it. Gentle hugs. So great to hear that tramadol has helped you. That is an amazing result. Gentle hugs to you too.